It was bloody freezing today so I decided to keep my legs under wraps. My shoes are from Dorothy Perkins I think, a long long long time ago. 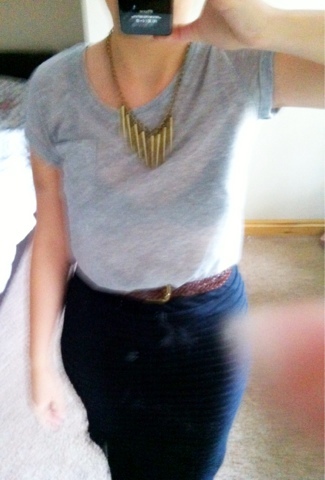 The skirt is from Miss Selfridge and the top is one of my recent Primark purchases.